Here are some pictures of a mini album that I just finished! All of the images are from the Winter Frolic cartridge. Sadly, I've been behind on reading email and such. 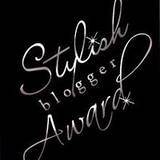 I am trying to get caught up now, but have been blessed by receiving the same blog award from 2 different bloggers. Thank you so much to Beth at Scrappy Java Girl and Jackie and Michelle at A Creative Operation!!! Maybe, I just really love food! Have you heard? There is a brand new challenge blog called Flaunt It Fridays! And guess what? Those wonderful ladies over there have invited little old me to be a part of the design team! Eleven super talented gals will be flaunting their stuff over at the Flaunt It Fridays blog so be sure to check it out! There will be a new Cricut challenge posted every Friday starting next week, December 3, so be sure to stop by and see who flaunts it the best! When assembling a paper bag album, that thick little piece where the bottoms of the bags meet really bugs me! :) Here is one way to avoid joining sections of the bags to each other - it really maximizes the surface area of the album.